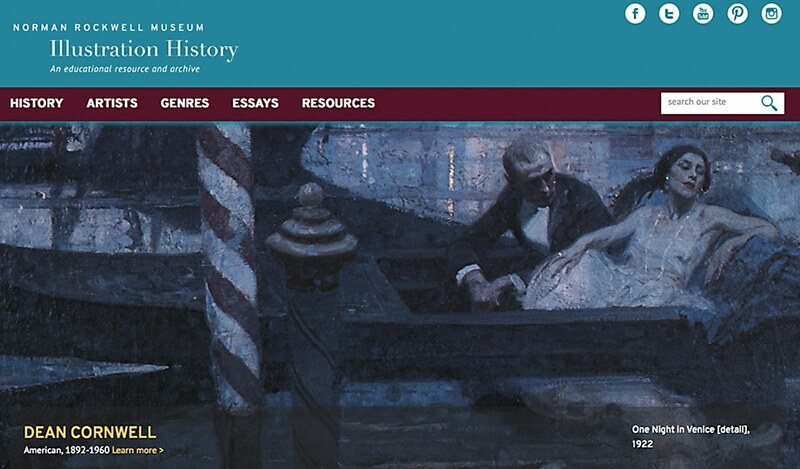 Derek Allard and the Norman Rockwell Museum created an indispensable site for illustrators. Since its inception, the Stockbridge, Massachusetts–based Norman Rockwell Museum has explored the art and impact of illustrated images through exhibitions, publications and programs. Created as an online extension of the museum’s purpose, the Illustration History website offers a digital version of the aggregated history of illustration art. 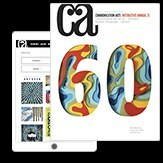 Made possible by a grant from the National Endowment for the Arts, the site provides information about periods in illustration art history, genres, artists, and essays in illustration by authors, artists and scholars, as well as a variety of resources, from blogs and books to videos of artist commentary. 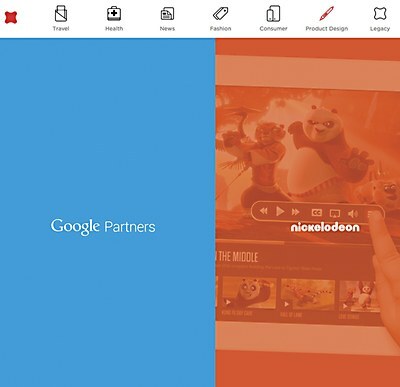 To facilitate easy navigation of such an extensive catalog, all features and stories include links to related materials, so that users can continue to browse content as it pertains to their queries; an internal search engine also enables users to search for terms directly. Purposefully, backend publication was simplified and organized with ExpressionEngine, so that new content can be easily added to the website. 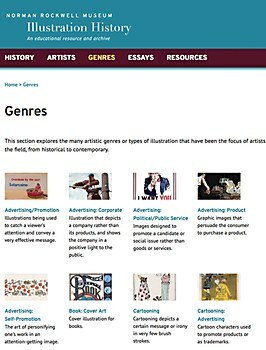 The project is constantly evolving to include new artwork, essays and resources, so that it will continue to be an indispensable tool for scholars, educators and students everywhere. Fantasy’s site uses animations to outline the company's manifesto. Assembly London’s site for True visually reflects its elegant print issues. 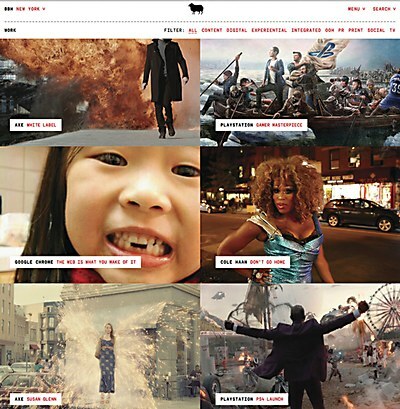 DOMANI’s new site for BBH NewYork shows its extensive portfolio with in-depth case studies.